Office 365 isn't perfect, no program or software is, (we're looking at you, Windows Vista and Windows 8). However, research has revealed that when it comes to productivity suites in the cloud, Office 365 is twice as popular as Google's G Suite in Europe. According to the EMEA Cloud Report, it found that 43% of enterprises used Office 365. Whereas only 22% use Google's G Suite. 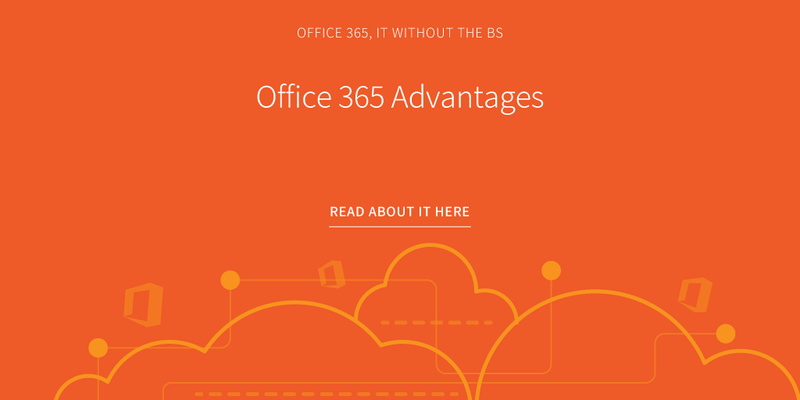 Here are 7 of the biggest Office 365 advantages, all of which will certainly be the reason Office 365 is so popular amongst organisations. As long as you have a working internet connection, you and your workforce will have the ability to work from anywhere. As it's entirely cloud-based, you can access emails, files and Office programs from any location on any device. This is especially helpful for companies that have remote employees, are based in multiple locations or you might even have employees that are required to travel often and need to access data. As the software is running in a Microsoft data centre, all that's required is connection to the internet and access is easy. This can help your business as it can drastically increase productivity. Without this, you and the employees can only access files when you're on-premises and can't do anything else until you're back in your offices. A common misconception about the cloud is that it's not safe. With Office 365, it's Microsoft taking on all of the responsibility for security and reliability. Storing all of your data on the cloud with Office 365 eliminates the cost of purchasing expensive hardware for your server rooms, along with salaries for full-time staff operating the server rooms. The cloud is more environmentally friendly, and disaster recovery is in place by including backup systems in case data is corrupted - along with other benefits. Encrypted Email: Keeping anyone other than the intended recipient from reading your emails. Data Loss Prevention: Microsoft's Data Loss Prevention policy allows you to identify, monitor and protect sensitive information from leaving your organisation. Mobile Device Management: A feature allowing your IT team to control Office on your employees' mobile devices to protect company information. If somebody loses their device or it gets stolen, you're able to delete all of the data without needing to use the lost or stolen device to delete data. Advanced Threat Analytics: This unique feature analyses systems to detect and alert users to suspicious behaviour on the network. It scans emails as they land into inboxes for malicious links and attachments and if there's anything dangerous lurking in there, it prevents it from getting in. While the email will still appear, a message appears explaining why the attachment isn't there. That's one way to eliminate human error. Exchange Online Protection: Provides advanced security and reliability against spam and malware to protect information and email access. Threat Management: Security monitoring to prevent or detect any tampering of data. Dedicated threat management teams are in place to anticipate and prevent malicious access. Multi-Factor Authentication: Multi-factor authentication protects access to sensitive data, such as using a phone to access data as a secondary device for added security. Office 365 is a subscription-based service. This means your organisation will be paying a low monthly fee for every user, as opposed to taking a huge chunk out of the budget and paying a large lump sum up front as is the case with regular Microsoft Office packages. This is a huge benefit as it can be helpful from a cash flow perspective, as plans are typically paid month-to-month and it allows the finance team to plan a budget much easier. It also allows you to turn off what you're not using to save the organisation even more money. This feature can also be beneficial to your organisation as it allows for scalability - up or down. In most organisations, working in teams is the way the business operates. If that's the case in your organisation, then you'll appreciate the collaboration features of Office 365. Everyone who needs to contribute or edit a particular document, spreadsheet, presentation or anything else can work on the same version one user has created and receive real-time changes. As you can see below, real-time co-authoring is a feature where users can view edits as they happen so you know exactly what's been changed or added. This eliminates the use of having multiple versions floating around that have to be combined, and nobody knowing which the latest updated version is and which document needs to be changed. Figuring out which is the correct document slows people down. This harms their productivity. Instead, Office 365 provides the ability to share direct access to files, rather than sending them as attachments. Remember those days when Microsoft released new versions of Office and you had to pay to upgrade to the latest versions? Those days are in the past. With Office 365, organisations can benefit from always having the latest versions of Office at no additional charge. The latest versions are always available as part of your Office 365 subscription. This means no going around to each individual computer uninstalling old versions and replacing them with new. With Microsoft constantly making upgrades across various programs, you'll have access to all of them. This depends on the plan that's been chosen and you will also have full access to the desktop versions for offline usage. We're not claiming that Microsoft always release perfect software to use. Organisations and users don't want to give up programs that they are comfortable with and adapt to constant changes. Microsoft have realised this. Even though the new releases and programs are a part of Office 365, users can experience programs perfectly without giving up what they're used to. The Office 365 common favourites have remained the same. The only thing that has changed is that they are now all living on the cloud. This means your IT team won't need to train users on how to use software whenever something new is released, which also saves their time. This keeps the productivity up and keeps the workforce happy that they're not always expected to learn something new and can operate with programs they have been used to for years - but with added features. Office 365 features mix and match plans so you don't need to compromise to settle for a particular plan. 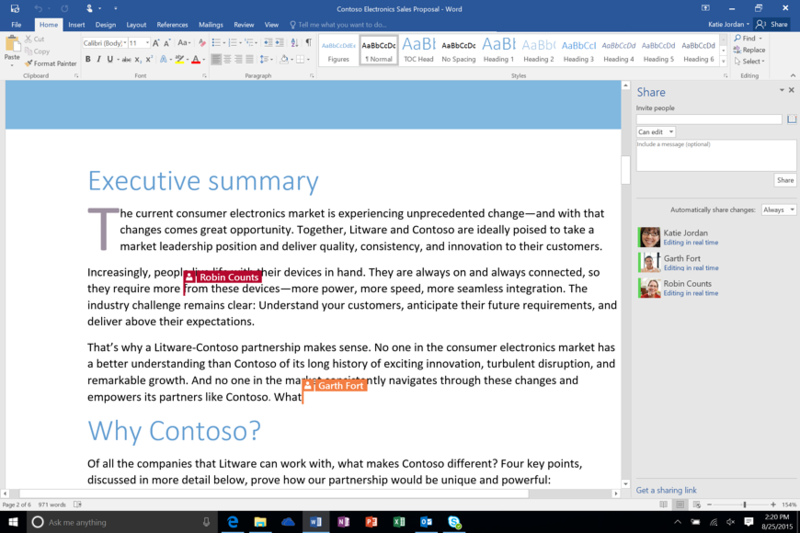 While other cloud-based productivity suites feature three plans, for example, Office 365 has 7 plans to cater for businesses of all sizes. It's not a one-size-fits-all approach, and not everyone in an organisation is going to need the exact same features. Office 365 provides tailored packages where organisations can mix and match plans. So, you don't have to pay for what you don't need, something your finance team will love. If a certain department doesn't need a program which another team might, then it can be taken out of a plan to save costs. This way, valuable money isn't being wasted in areas in which it isn't needed and can be invested elsewhere. As you can see, Microsoft's Office 365 has its many compelling benefits that can bode well for your organisation. Rather than going back and forth between multiple brands and programs, you can choose a simple, all-in-one solution instead which has the most innovative features around for the whole workforce to use. Microsoft's state-of-the-art Enterprise IT environment is changing the way businesses work, meaning it could be time for your organisation to adopt Office 365. An IT Health Check is often a good place to start to understand the strengths and weaknesses of your IT. While traditional IT health checks can be expensive, we have created an online IT health check to help you gain some insights without committing to an expensive service right away.